Is fear a hidden trap in decision making? 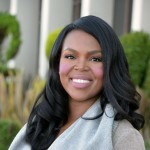 In this video, Aja Brown, mayor of Compton, California, talks about the decision-making practices of brave leaders. She believes that one of the unmistakable characteristics of brave leaders is their unique ability to take action in spite of the fear of failure. In fact, Aja explains that perception of failure can be more overwhelming than failure itself. As Compton's youngest-ever elected mayor, Aja reveals that she encountered many people who thought she couldn't do it. Instead, she made the decision to run for office, ignore the negative opinions and work hard to make her community a safer, better place. Watch the video to learn how your decision-making reflects your leadership style and impacts the lives of others. One of the things that I was asked to really talk about, how did I develop an unrelenting posture of boldness in my own leadership? And it's really about understanding that all brave leaders have one simple thing in common: we've learned to diminish the fear of failure. Think about what the fear of failure is. It's something that is really more powerful than reality itself. Fear can put you in an invisible prison; it can be like shackles on your feet. And when you consider that the thought of something that could happen, that hasn't even occurred, can cause you to not step out there and can cause you to not be able to make the type of impact that you were destined to create, the fear of failure can be one of the biggest impediments to making an impact. When I think about the power of making that decision, I was told when I decided to run for mayor that, "you shouldn't run for mayor. People are going to be able to find everything else about your life, you're always going to be under a magnifying glass, you'll never have any private time, people are going to say different things about you," and I had to learn a very young age that people are always going to have something to say. But what about the peace that I have inside of me by stepping forward into doing the thing that I was created to do? And that's exactly what leaders have to do. When we consider that we have the power to make a decision of whether or not we're going to live in that fear, and whether or not we're going to allow failure to really be able to suffocate us, or we can decide to strategize to win. I've been very blessed to be married to my husband of now 15 years and we have totally different ways of looking at everything. He's the kind of person that focuses on the million ways that something can fail and I'm the person that focuses on the million ways that things can succeed, but there's such an amazing balance in that because he can identify the things that I might not see, that I may not account for. And so those are the same things that you can bring into your own leadership team. When I consider some of the things that really enabled me to make bold decisions, I don't think about what the outcome could be if I don't do it, I just simply decide that there is no other option but to move forward. And I have to understand that the status quo is not an option. Each and every one of you are leaders and you have a vision to make some type of impact where you are. And if you're afraid to make those decisions that could shake you, that could shake your organization, your business, your team, think about the choice that you have to make, and think about the impact that could be had if you move forward. For me, the worst-case scenario is not failure, but it's living in the visible prison of complacency and fear. I believe that as humans, sometimes we give other humans more power than they deserve. And the biggest impediment from being brave is sometimes being concerned about what other people may think, say, or do. And I challenge you to remove the power of public opinion and to live a life worthy of your calling. People are amazing, resilient human beings and each of us is unique, just like a fingerprint. And I believe that we were created that only you and I can fulfill. I was raised by an amazing single mother and she told us that leaders don't make excuses, they lead. And when I consider that, how can you challenge other leaders within your context and throughout your other organizations and throughout the world? I would just challenge every single leader to listen to the conscious decisions to elevate your expectations. If you don't elevate your expectations, you can't elevate your organization. If you've been maintaining the status quo and are unfulfilled and your team is unfulfilled, it's time to elevate your vision. If your team lacks momentum, it's time to elevate your vision. I challenge every leader to push past the status quo and to dream a vision that's much too big for you to achieve by yourself.